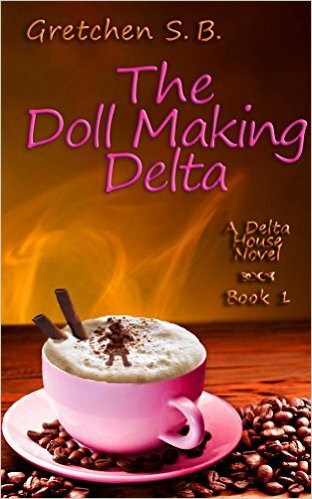 Book Review: The Doll Making Delta (Delta House Novels Book 1) by Gretchen S. B. The Doll Making Delta (Delta House Novels Book 1) by Gretchen S. B.
Reneé just wants to focus on her job as President of her company whilst they go through a merger. She works virtually every day all day without much of a break, except to meet up with her old college group the Deltas. When she goes on a date with Ruben, she is happier than she’s ever been, though no less busy. He seems to be working out until he suddenly cancels all their plans. I love short books that are succinct and get the story across efficiently. This book is not one of them. Though the book is detailed, most of those details get swallowed up because they don’t move the plot forward or keep my interest as a reader. For being overdetailed, this book doesn’t show much of a relationship between the main character Reneé and Ruben or much of the intricacies of running a business. I wanted more from the plot and the tension between Reneé and Ruben and between Reneé and her job. Stress does not equal tension. The plot was quite predictable. I thought there were too many side characters (the Delta gals) to keep track of and grammar mistakes were apparent throughout most of the pages of this novel. I will not be reading more from this series. This novel was published by Amazon Digital Services LLC on October 13th, 2015 and is available on Amazon here.